Northstars are built in fairly small volume in Turkey and to a high standard. 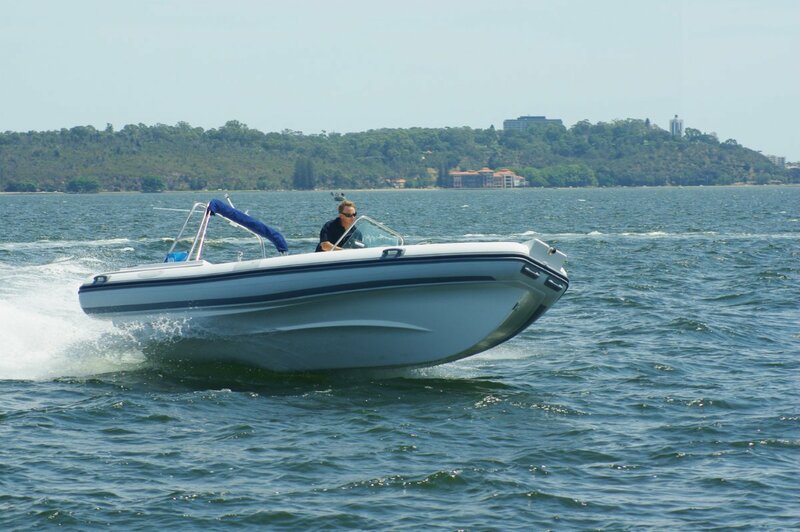 Unlike many RIB builders the major components are made and assembled in house: fibreglass hulls and Hypalon tubes. The finish of the fibreglass on the first Northstar to be imported, the 640RW, is very good indeed. Not surprising considering the sophisticated production techniques used: vacuum resin transfer for parts needing a good finish on inner and outer surfaces, and vacuum resin infusion for the others. Both give lighter and stronger structures than hand and chopper gun lay ups. 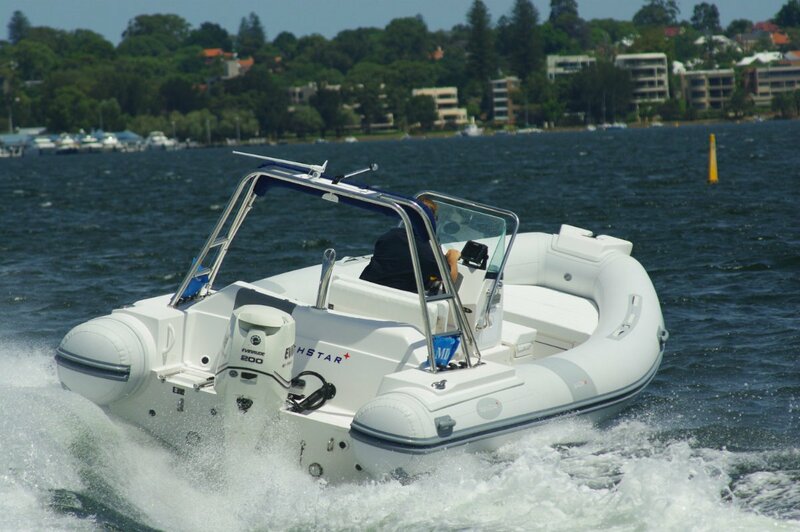 The review boat at 6.4m overall fits into the rules for a Rottnest tender, and within those dimensions packs an exceptional amount of room and storage. The internal beam is greater than normal at 1.56m and under all seats and the bow platform and within the console is room for more stuff than anyone should take to sea. There are permanent seats for seven or eight but, with bow platform and tubes hauled into service for temporary passengers, the official capacity is 14. The European standards to which Northstar builds rate the boat as category B or Offshore. Its stability, strength and so on suits it to a significant wave height of 4m and wind strength of 40 knots. Not surprisingly most RIBs are in category B or Inshore. Few people would ever test this boat’s ultimate abilities, but it is nice to know it has them; like owning a Ferrari. The maximum power for the 640 is 200hp, and that is what our Evinrude E-TEC provided. Acceleration was possibly in the Ferrari class, although top speed was rather less but still respectable at the top end of the 40s. A South African designed the 640, and that is not surprising given the enormous popularity of RIBs in South Africa. 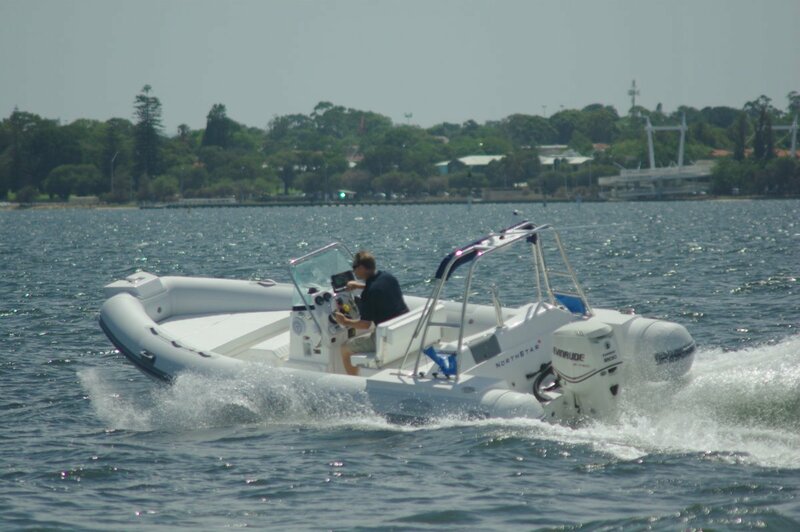 Every leisure boat operating on the ocean there has twin motors – good sense in the absence of rescue services – and that probably explains why Northstars have transoms capable of taking twins. 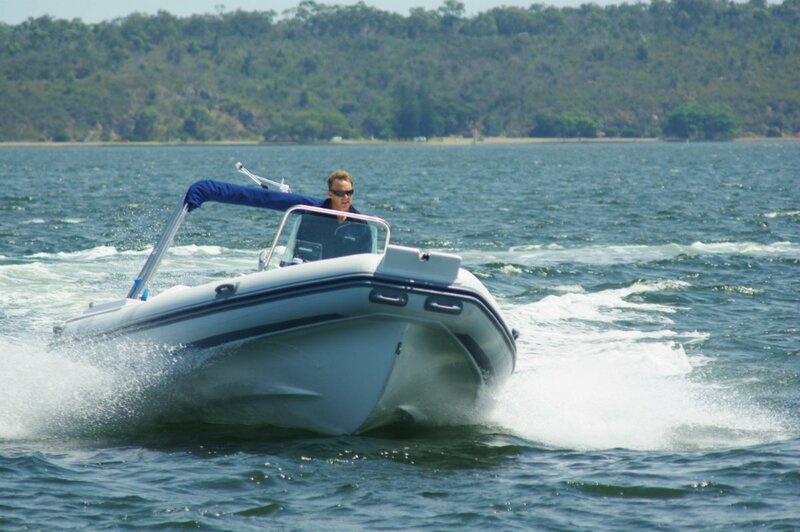 That is not particularly common with production RIBs and could be welcome on boats operating in hairy conditions. The hull he created has lots of subtle shape in it as well as the less subtle presence of massively deep spray rails, for want of a better term. Certainly not a trace of spray made its way on board through a series of energetic high speed manoeuvres. These were good fun and involved no effort on the wheel, and fortunately the builder had provided powerful grab rails around the windscreen to retain the passenger on board. RIBs can be short of things to hang onto, and the 640 is about average here; passengers on the rear lounge have the use of the folding Targa. This also carries a neatly furling Bimini that shades the boat’s rear half. The Northstar has more roles in it than just a tender, and it has been given the equipment for several of them. 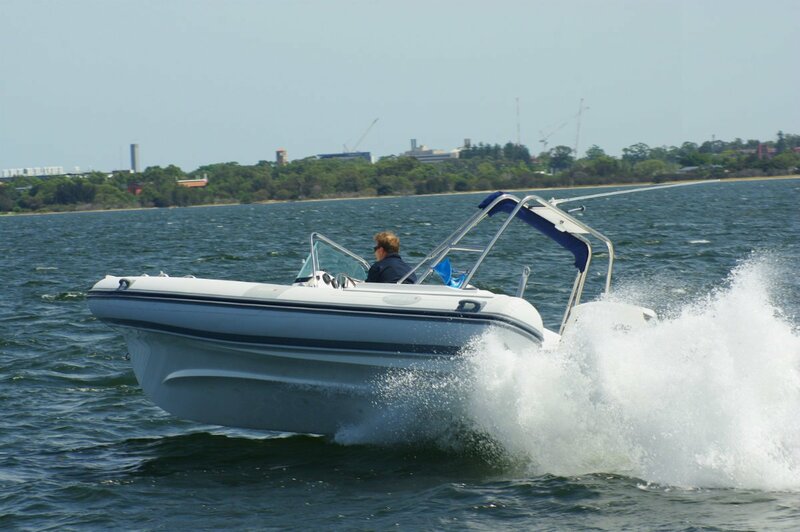 The wide transom allows plenty of room for a ladder and boarding platform and, for the returning diver or swimmer, there is a shower fed from a 60 litre tank. After dive drinks are catered for by an icebox under the forward seat. The 640 throws a pretty clean wake – good enough for social skiing – and a ski post is provided together with abundant urge to launch the unskilled skier quickly. Fishing of course, one of the key tasks for a Rottnest tender is on the cards, and a set of electronics as well as outstanding stability is included in the price of $94,000. This is not bargain basement stuff, but it buys a boat of quality worth a close look.